More than 30 new swords with special abilities. 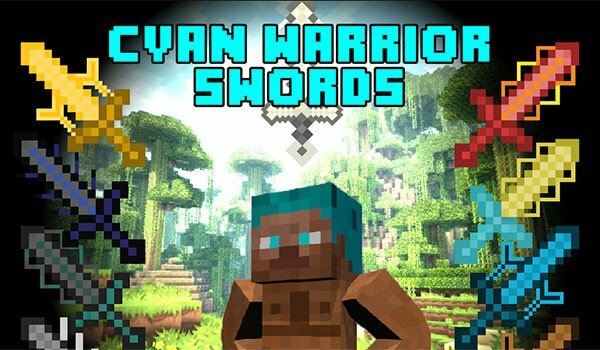 Cyan Warrior Swords 1.7.10 is a mod that offers new possibilities to create swords. Although they aren’t normal swords, but each of these swords have special skills. While some of them simply serve to harm, others will injury the enemy a part from offering the character skills based on altered states, such as fire resistance, increased jumps, speed, etc. In total we have over 30 crafting swords and although all of them have special skills. Their basic hit power value is 7 plus the power of the new skillls of each new swords. Besides these swords can be improved to increase their power. How to install Cyan Warrior Swords Mod for Minecraft 1.7.10? New swords with special skills and powers!